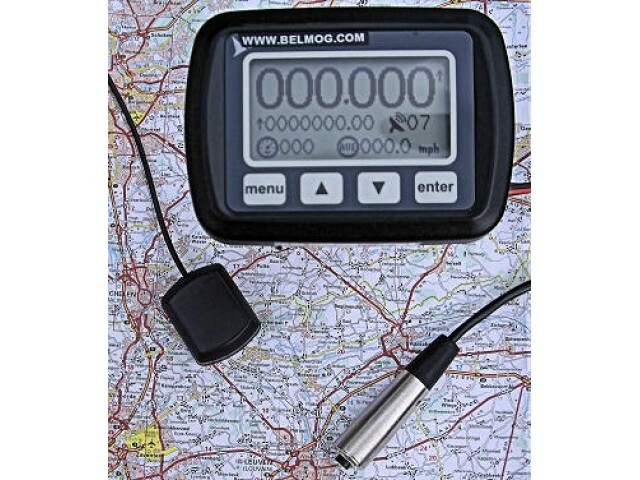 This instrument is the most precise GPS in the free world an Belmog is proud to be the appointed European distributor! Glonass is the Russian satellite connexion…An our GPS trip combines ALL systems! Beidou is the Chinese satellite connexion...An our GPS trip combines ALL systems! Result easily 10 to 20 satellites are following you! Ofiicially not allowed in the USA! Plug & play…The unit is provide with a 1,5m power cable terminated in a standard automotive cigarette lighter connector. A magnetic mount internal/external antenna is provided. No installation tools are required. An adjustable screw or suction mount allows for optimum positioning. The ability to track 50 satellites simultaneously offers the ability to operate in the hardest RF environments. Distance lost due RF blackout such as in tunnels is compensated once satellites become visible again. Velocity calculations are updated 4 times per second. 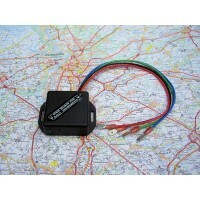 Highly visible display both at night or in sunshine shows simultaneous ; intermediate distance, total distance, speed, average speed, numbers of satellites used. Both counters can count up or down. The integrated keypad and menu allows customisation of these and other functions.